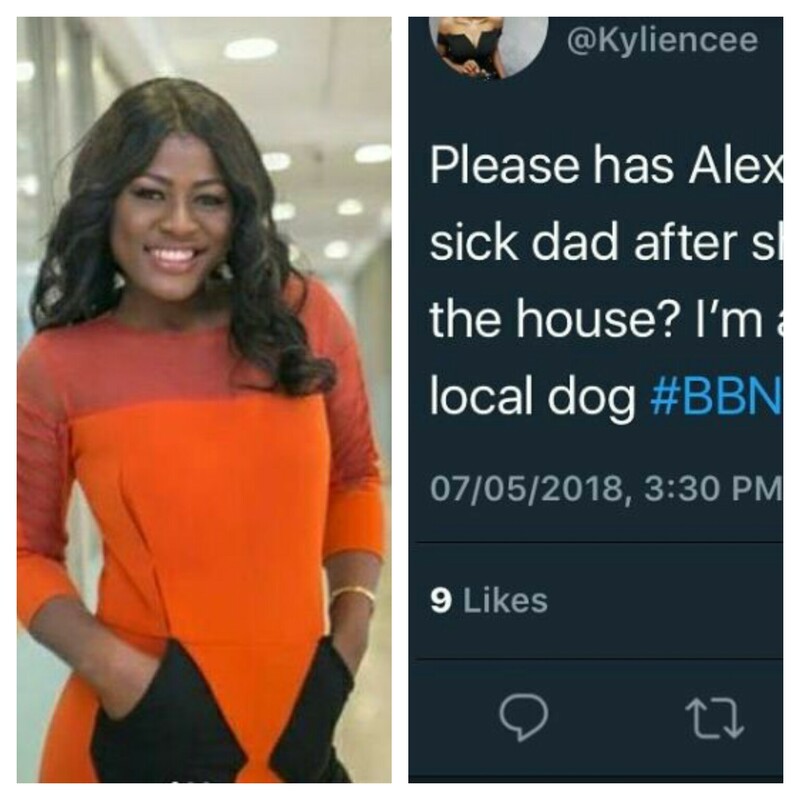 A Nigerian lady that goes by the name @kyliencee has taken out time to troll ex BBNaija housemate, Alex on Twitter for reason best known to her in multiple post. According to one of her post, she said that Alex used her father's illness to beg for votes and ever since the show came to an end, Alex hasn't seen her dad instead she's busy chasing her lover, Tobi up and down. Though how reason for this hatred isn't known but from what we can deduce, it seems like she's in love with Tobi and Alex coming in in the picture makes it looks like she's losing. Well take a close up look at her post below and tell us what you think about this.